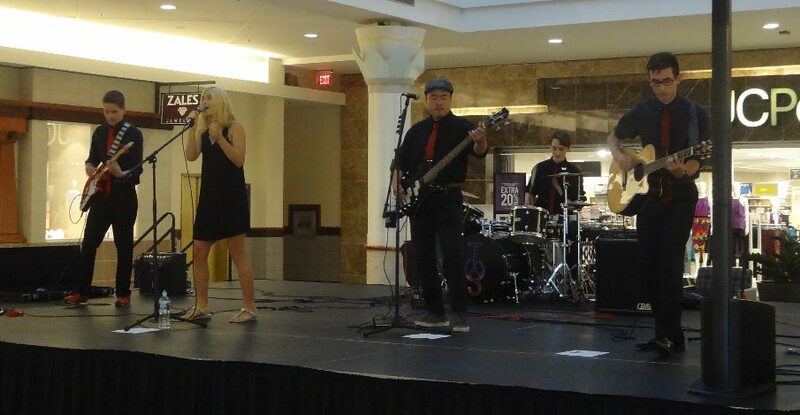 If you read my review of TOS’s CD release gig in July, you’ll understand why I couldn’t pass up an opportunity to see these guys so close to my home, at the mall I drive past 2-3 days a week on my way to my favorite breakfast joint for an omelet and my personal playlist. Yesterday morning, in fact, my phone shuffled up TOS as part of my playlist, which I shared on Twitter, as I often do. 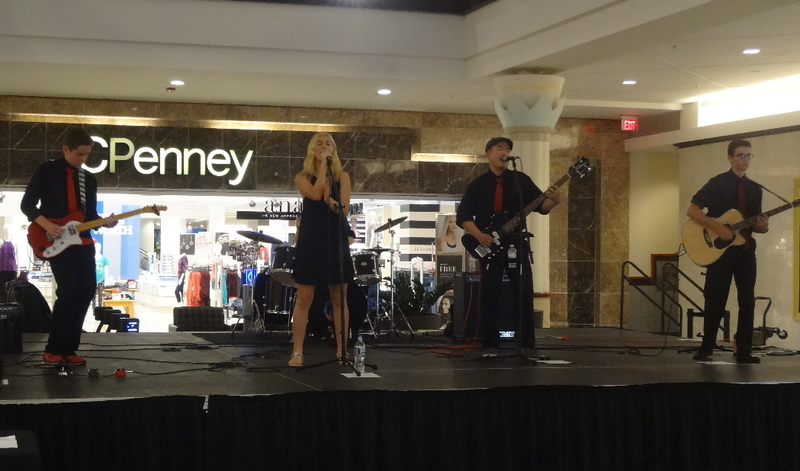 Yesterday evening, I stopped at the mall to see one of my now-favorite local bands. 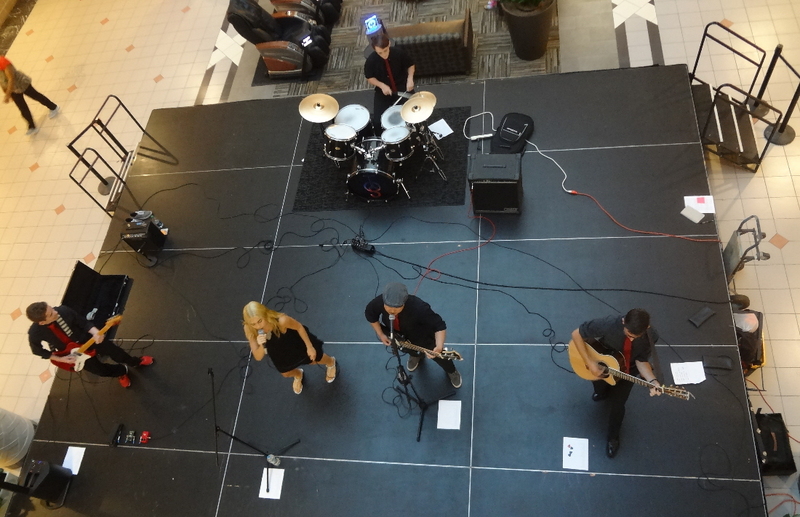 I’ve never seen a concert in a mall before. This is a band with the talent to make this concert an excellent first. Because I’ve provided in-depth coverage of TOS before and (spoiler alert) will soon complete my review of the band’s album Killer, I’ll focus mostly on the songs performed and the flow of the concert; and though I won’t mention every song, I’m able to mention each song by name and offer a much more detailed review because I had access to a set list while scribbling my notes. Always a helpful bonus. “Primadonna” is a live favorite of mine; it’s a good boppin’, catchy pop rocker but with a bit of vocalist Sophia Ward’s haunting howl. TOS then slowed things down a bit on “Mouthful,” a personal favorite from the band’s recent release, Killer, before bringing the energy back with “(Dyin’) Without You,” another boppin’ alt-rock song with a good tempo and another well-suited guitar solo from lead guitarist Jackson Parker. On haunting album standout “Ghost,” bass player Jae Mannion stepped forward to provide prominent support vocals, adding texture to the song’s sound. Next on “Cry Baby,” another of my personal favorites – a song my wife and I were singing as we arrived home after the show, in fact – I really enjoyed Mitch Rolla’s punched-up ’50 soda shop-reminiscent drumming that provided the song with a fresh feel. Some other songs stood out, as well. “Side Effects,” for example, kicked off with almost a ’70s jet-setting start, a little psychedelic. “Death of Me” is as much a treat live as it is on the recording, in part because it’s a song that very obviously and prominently features contributions from all five band members. Sophia’s trademark haunting vocals are supported by a great strumming opening, an important electric guitar line, drumming that defines the stops and starts that propel the song, and a bass part that contributes the key hook. “Crush” is a subtly interesting song; it’s solid and steady but made unique by a bit of a funhouse mirror edge to the vocals, electric guitar, and bass lines. “A Better You” is a mellower acoustic guitar-strummer with sweet vocals and a hint of ’70s lounge-style jazz in both the vocals style and the wandering electric guitar line. “Need This Love” next amped things up with electric power; it has ’70s rock anthem-level power when it peaks. It was followed by “Waterfall,” the sensitive, flowing, raise-your-lighter song in the band’s repertoire. Finally, toward the end of the set, TOS presented its mellowest number “The One,” a primarily singer and acoustic guitar-driven song with a sensitive sound and sweet vocals showcasing singer Sophia Ward and acoustic guitarist Jonathan Sommer. The 21-song set closed with “Never Wanna See You Again,” utilizing a surf rock undercurrent to add texture to this otherwise growling rocker. For an encore, the band performed “Killer,” the powerful rock song motored by exceptional acoustic guitar, powerful vocal wails, and an almost wall-of-sound feel. 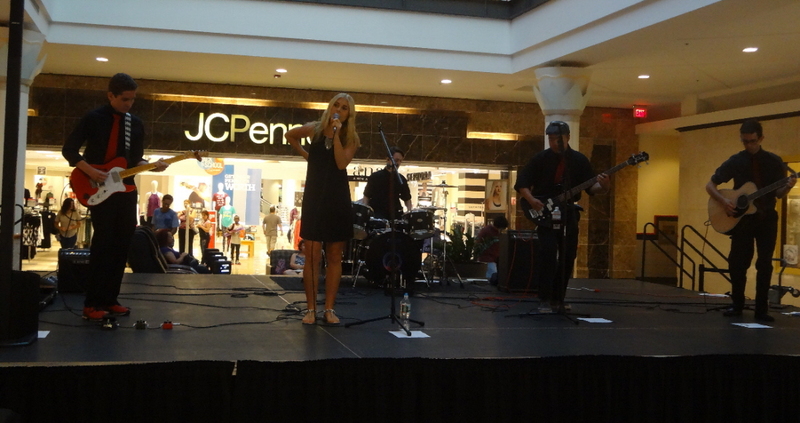 An ideal way to end a concert… and this most unusual evening at the mall. 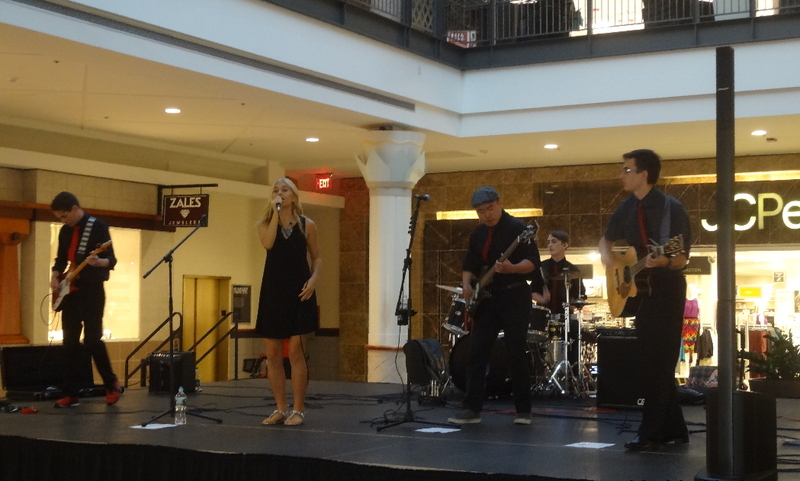 TOS has three upcoming shows listed on its website: Friday, September 2nd at Sally O’Brien’s in Somerville, MA; Saturday, September 10th at the Remember September Music Festival in Brockton, MA; and Friday, October 7th at the Out of the Blue Too Art Gallery in Cambridge, MA. Keep an eye on the band’s website for additional upcoming dates. Also watch this blog in a couple weeks for a review of TOS’s recently released CD, Killer. This entry was posted in Live Reviews and tagged Geoff Wilbur, Geoff's Night Out, Live Review, TOS. Bookmark the permalink.